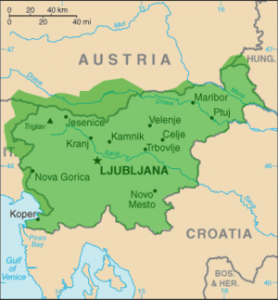 We begin by describing the history of Slovenia saying that Slovenia was at first inhabited by Illyrian and Celtic peoples, and that Slovenia was part of the Roman Empire in the first century BC. Continuing the story of the history of Slovenia is also worth mentioning that the Slovenes were a group of South Slavs who settled in the region in the sixth century AD. During the seventh century, the Slavs established the state of Samu, which owed its allegiance to the Avars, who dominated the Hungarian plain until Charlemagne defeated in the late eighth century. Following with much information from the history of Slovenia we wish to highlight that when the Hungarians were defeated by the Turks in 1526, Hungary accepted the Austrian Habsburg rule to prevent Turkish rule, the Habsburg monarchy was the first to include all regions of Slovenia. Undoubtedly, this was a very important fact regarding the history of Slovenia. Thus, Slovenia and Croatia were part of the Austro-Hungarian kingdom when the dual monarchy was established in 1867. As Croatia and unlike other Balkan countries, is primarily a Roman Catholic country. After the defeat and the collapse of Austria-Hungary in World War I, Slovenia declared its independence and this fact in the history of Slovenia is celebrating today with great enthusiasm by the inhabitants of Slovenia. Slovenia formally joined with Montenegro, Serbia, and Croatia on December 4, 1918, to form the new nation called the Kingdom of Serbs, Croats, and Slovenes. The name was later changed to Yugoslavia in 1929. Key date in the history of Slovenia. Finally we say about the history of Slovenia during World War II, Germany occupied Yugoslavia, and Slovenia was divided between Germany, Italy and Hungary. During the war, many Slovenes fought a guerrilla war against the Nazis under the leadership of the Croatian Communist resistance leader Marshal Tito (well named character in the history of Slovenia). After the final defeat of the Axis powers in 1945, Slovenia was again turned into a republic of the Yugoslav Communist nation was newly established. More recently in the history of Slovenia we can say that in 1980, Slovenia was agitated for greater autonomy and have occasionally threatened to secede, in fact introduced a multiparty system and in 1990 chose a non-communist government. Slovenia declared independence from Yugoslavia on June 25, 1991 (date celebrated in the history of Slovenia). The Serbian-dominated army Yugoslav Slovenia tried to keep in line and report a fight occurred, but the army then withdrew their forces. Unlike Croatia and Bosnia, Slovenia was able to separate from Yugoslavia with relatively little violence. With the recognition of independence granted by the European Community in 1992, Slovenia began to realign its economy and society looking more toward Western Europe. Slovenia joined the European Union and NATO in 2004.With this information we finished our brief summary of the history of Slovenia. Keywords: History of Slovenia. The wars in Slovenia. Independence of Slovenia. 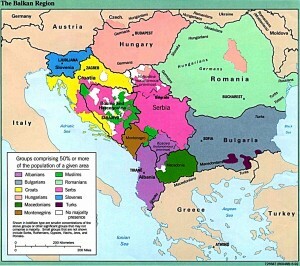 The wars of the Balkan countries. Slovenia and its connection with the Balkan countries. Slovenia and its participation in World Wars I and II. History of Slovenia. Historic events in Slovenia.Slovenia peace treaties. Presidents, kings and rulers of Slovenia.Enemies and allies of Slovenia.